While you may have concerns about the cost of septic tank pumping, we promise that you’ll get the most reasonable rates from us. 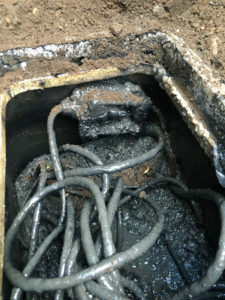 We also promise that any money you spend on our septic services will be an investment in the longevity of your system. 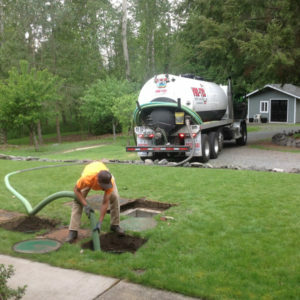 Our septic tank professionals can schedule a consultation to see what your septic tank pumping project will entail. Without septic tank cleaning, your tank can become clogged, filled with sludge, or even develop cracks you remain unaware of. With our services, you can not only prevent backups but you can also ensure that you won’t have major issues down the road. Our DuPont technicians are available at convenient times to accommodate your schedule. Why Should DuPont Residents Choose Us for Septic Pumping? 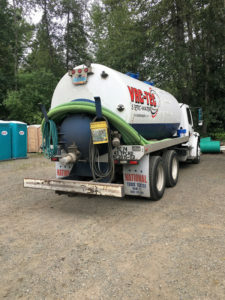 If you’re not sure our company is the right choice for your septic pumping needs, let us show you the great work we do. We not only guarantee our work but we also show you what we’re doing every step of the way. This way, there is total transparency in our interactions. Our septic pumping is also some of the most affordable in the area. Vac-Tec, LLC are the septic pumping professionals you can trust. Your DuPont property can benefit from septic tank pumping and septic tank cleaning. Call us at Tacoma – (253) 777-4887 Seattle – (206) 339-0039 Olympia – (360) 338-6686 North Dakota – (701) 566-0045 to schedule routine service.